(the hotel’s VIP concierge lounge) at Disney’s Grand Californian Hotel & Spa in Anaheim, California. 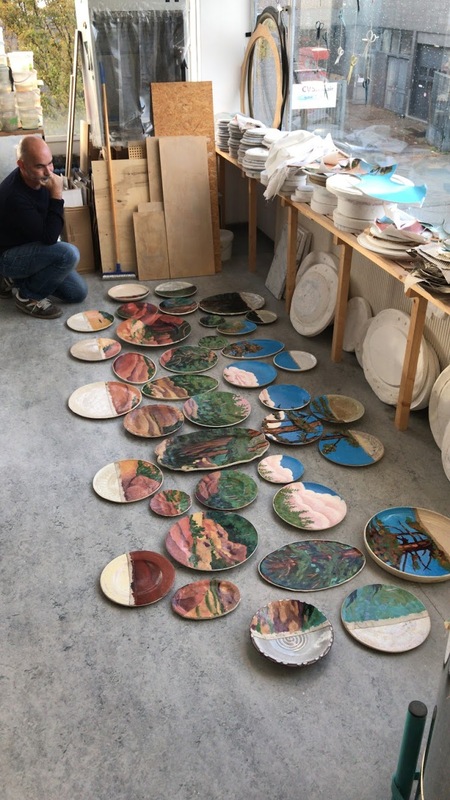 The composition consists of 38 plates -24 of them handmade by us in our atelier- combined with a Disney artwork which we hand painted. 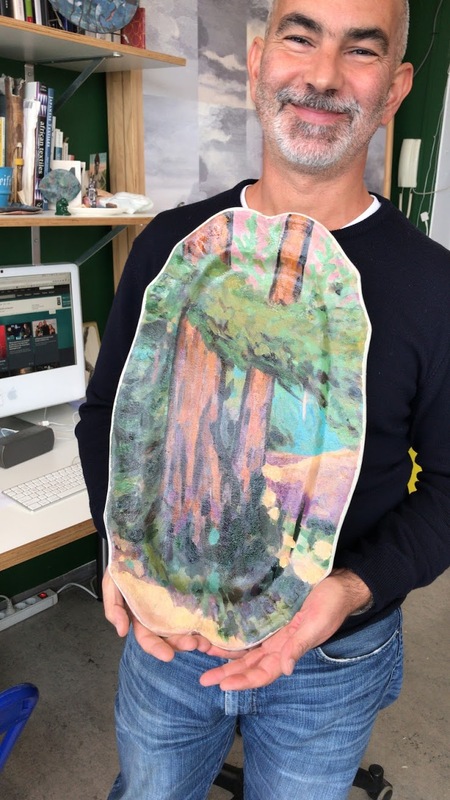 The subject of the artwork is the iconic landscape of redwoods from Disney’s “Brother Bear” movie. 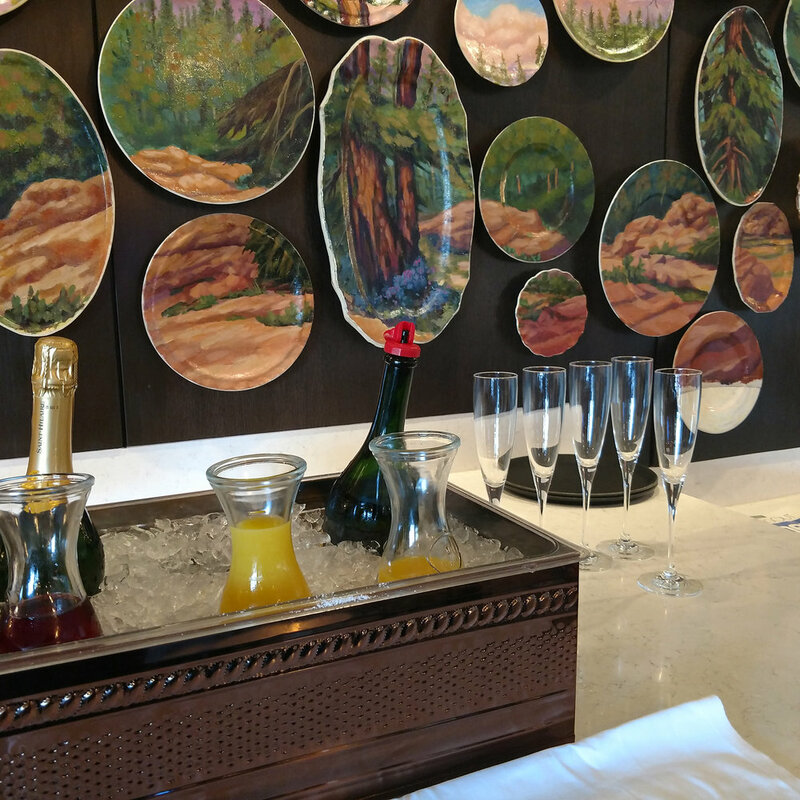 The Grand Californian Hotel & Spa re-opened in December 2017.